This week, while doing collection maintenance at my day job as a librarian, I ran across a small volume of poems by Kenneth Rexroth, which I had not seen before. 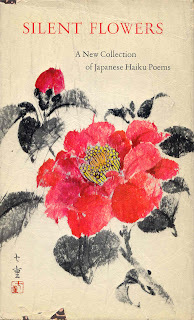 I was intrigued by the at once old school and small press looks of the book, which is entitled The Silver Swan: Poems Written in Kyoto, 1974-75. A very early publication of the mainstream “small press” Copper Canyon, it is comprised of 16 short poems with facing characters in the Japanese style, fairly primitive in execution. Though uncredited, they may possibly be by Rexroth himself. My sleeves wet with memory. No man can ever learn. Rexroth is widely known for his help in the continued popularization of Eastern forms in the West via his many collections of translations (100 Poems from the Japanese, 100 Poems from the Chinese etc. ), which followed in the footsteps of such greats as Waley, Blyth, and others. The poems in this volume demonstrate the Eastern influence and his own mastery of the short form in English. 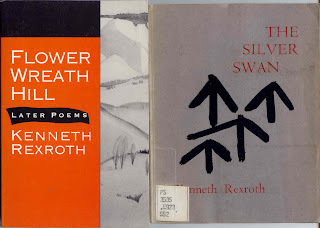 Long out of print, Silver Swan can, of course, be found in the recent Complete Poems of Kenneth Rexroth and also in the more affordable Flower Wreath Hill: Later Poems. Both these later editions include 12 additional poems, including one long one among the short, which can be read in its entirety here. Ah, yes, less is more, indeed. 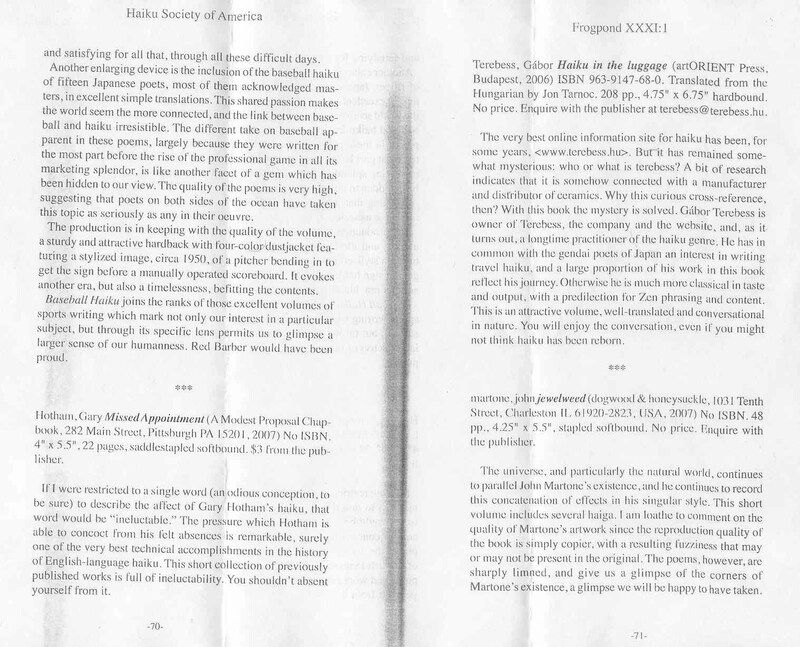 Gary Hotham’s Modest Proposal Chapbook, Missed Appointment, has received another positive review, this time in the current Frogpond: check it out here (if blurry, zoom in). Best to get the important stuff out of the way first: the Meaning of Everything. This should clear up everything nicely. If, perchance, there are any further questions, try here. Or here. Not quite: how about here? Surely here (which may be continually refreshed). How about a little old school? Perhaps a tad older? No? Yes? "Like Yeats, he (Wright) thinks that each of us, poet and non-poet, must invent the unfolding choreography of his own life. 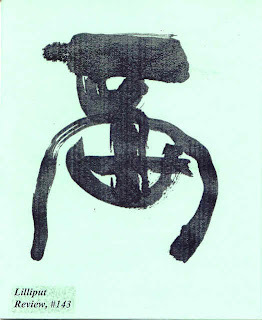 The choreography that non-poets trace is a virtual poem---the same, although silent, as the spoken poem of the writer." And the review continues from there. It felt like one of those emergency early warning system tests one still hears occasionally on the radio (on the what? ), only this one came in the middle of a book review. Followed by the new Tommy James and the Shondells song. This has only been a test. Ms. Vendler now returns you to your regular work mode. And somehow that Tommy James song just never sounds the same. "The peony was as big as this"
This week we arrive at Lilliput #146, from October 2005. Hope something from these samples grabs you. As always, copies of this and any other back issues are available for one buck each, less than a pocketful of change. o wet pale loop of swan's logic. Finally, a bit of news. The contributor copies of the new issues, #161 and #162, will begin going out in the next two weeks, with the full subscriber run hitting the mails during the month of March. FYI, it takes about a full month to send the entire run out to subscribers, what with notes to be written, apologies to be proffered, and praise to be lavishly distributed. 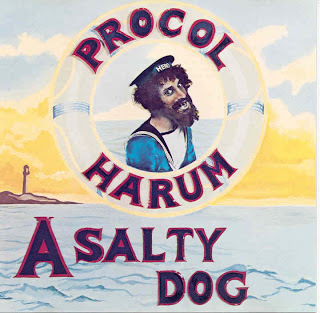 Perhaps the single most neglected writer of rock lyrics is Keith Reid, the non-playing sixth member of Procol Harum. Among other non-playing lyricists, there is Robert Hunter of the Grateful Dead and Peter Brown of, among others, Cream. In a post from last year at the old Beneath Cherry Blossoms blog, I placed the Reid penned "Conquistador" side by side with Shelley's "Ozymandias" for comparison and resonance. In the history of rock, there has been many a concept album; most of them have been noble, if pretentious, failures. The reason A Salty Dog is, in my opinion, the very best is simple; the concept is metaphoric, not literal. To sustain an entire story over a whole album strains believability, mostly because the medium cannot bear the weight (if truth be told, herein lies where many an opera fails, but, of course, that's not the point: so, too, rock fans might argue with, perhaps, less credulity). But the subtle art of suggestion, one of the writer's most powerful tools, within a loose conceptual framework is what gives this album its incredible power, a staying power that only grows over the passing years. Because A Salty Dog, magnificently executed by a fine band at the top of its game, is quite simply one man's story: the story of one particular writer. The enigmatic quality of "A Whiter Shade of Pale," with its allusion to Chaucer's Canterbury Tales, has often stumped the casual listener of popular music. The allusion in "Pilgrim's Progress" is even more overt. The words "anchor" and "pirate's gold" tie the song to the overall concept, but no one would mistake this for a song about anything other than a metaphoric salty dog. This album smokes; if you can listen to "Crucifiction Lane" without a wince of recognition, you're a better person than I.
I was very happy to see this week that Garrison Keillor is doing his bit to keep the memory of Cid Corman alive. Check out his rendition of "Someone I cared for" by Cid from Monday's The Writer's Almanac. 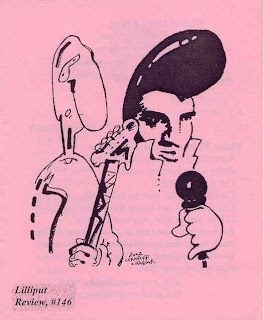 The ongoing tour of past issues of Lilliput Review brings us to #145. 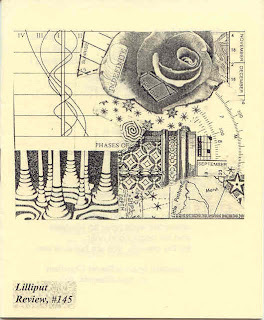 For those following along, #144 is a broadside by Christien Gholson entitled Spiral, that does not lend itself to excerpting so has been skipped. for the chosen. We are home at last. I'm in love with Gerald Stern. It is unabashed, it is obsessive, it is irresponsible, and it is nigh on devotional, this love for Gerald Stern. by another poetic luminary, Dana Gioia, which ended up creating the proverbial poetic tempest in a teapot that ended up in a vaguely clicheish flurry of exchanges. Points were scored on both sides and, god forbid, people were talking about poetry in a semi-heated fashion. Little of this mattered to me. I enjoyed Keillor's anthology very much, but more importantly I'd fallen in love; and though the white hot passion I had for 6 months or so has cooled a bit, still, my devotion is true. Which leads to the recent publication of Stern's new Quarternote Chapbook, The Preacher. I am at a loss to describe my love. Stern, on the surface, appears staid enough, surely nothing unsafe here. Yet he plays like a wild-haired, poetic clarinetist, suddenly deviating seriously from the charts. The metaphors, the allusions, the connections are sparks flying from downed wires; careful there, isn't that water, rushing nearby? The Preacher takes its title and begins as a rift on the narrator from the opening lines of Ecclesiastes in the King James version of Bible (yup, the version is important; not only which one, but which particular King James version). Or perhaps it actually began with listening to another riff, this one by one of the very few people I'll let preach to me: Charles Mingus. Eat that chicken, eat that chicken pie: oh, yeah. Or maybe it all really began with the poet executing one of his signature moves, well-known to devotees, lovers and acolytes alike: hugging a tree. Though you might not end up rich if you got a dime for every time Stern alludes to this most lyrical of occupations, you still could get yourself a cup a joe, possibly even at one of the upscale clip joints passing for coffeehouses these days. What's it about, you say? Who cares, says I, it's by the loved one. It's about everything. We dip our big toe in Dante's (or was that Milton's) fine Lake in Hell (Cocytus 32-4), discover many lamentable holes, very black, indeed, throughout the miserable existence of our heroic human race. Truman, Sharon, and Genghis Kahn (typo, variant spelling, or just plain sic?) all get their fiery comuppance, with Kant, Leonard Cohen and Lord Mingus all strolling in and out for perspective and three-part harmony. The whole is structured on a poetic riff of a conversation with fellow versifier Peter Richards; this conversation is spoken, however, in the language of Tongues, one long familiar to the Preacher, Mr. Stern, and the composer of that famed autobiography, Beneath the Underdog. All in all, the dialogue is free associative, manically passionate and, probably, in the key of B flat. As is well known, my attention tends to wander after 10 lines or so, but Stern's standard 30 to 50 or so line work usually keeps me riveted. 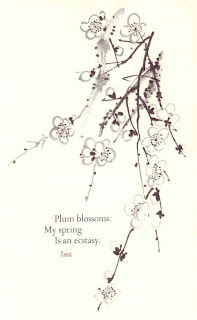 This 23 page, book-length poem might have been expected to tax that haiku-like attention span yet it kept me in my seat and brought me back for more (after reading a library copy twice through, I bought my own copy). By way of disclosure, Mr. Stern started life in Pittsburgh, where I've ended up. He's hit many of the world's high spots in his journey, notably NYC, Jersey and Philadelphia, all places I touched base with in the beginnings of my journey. So, there is a corruption of place, a sort of geography of influence in this post I felt I had to confess, along with my above heralded love. I've never met Mr. Stern, am not shilling for any one particular agenda or another except the reader's agenda, specifically this reader's agenda: mine. If you are unfamiliar with his work, if you like things a tad untidy, if you sing off key or, perhaps, don't mind doing the dishes in the morning, get a hold of a copy of Leaving Another Kingdom: the Selected Poems. 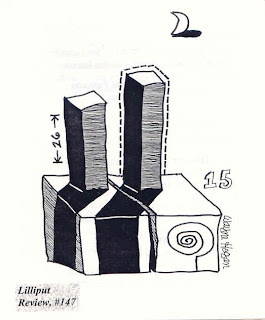 This week, the tour of past issues of Lilliput arrives at #143, from June 2005. Enjoy. trill to my steam heavy thoughts. two waves of light into one.